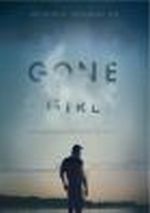 David Fincher takes on Gillian Flynn’s hit novel via 2014’s Gone Girl. Nick Dunne (Ben Affleck) and his wife Amy (Rosamund Pike) seem to live an ideal life, but issues reside beneath the surface, and these cause the relationship to unravel. On their fifth wedding anniversary, Nick returns home to find that Amy has gone missing. As Nick spearheads the search for her, he initially becomes the object of great sympathy. Before long, however, the tables turn, and Nick soon turns into the prime suspect in her disappearance. The problems Nick and Amy experienced beneath the surface come to the fore, and we follow how these impact the search and investigation. When I know I'm going to see a movie, I try to avoid hearing anything about it in advance. Fincher could direct three hours about a fat guy scratching his nuts and I'd still go, so Gone Girl was automatic for me. I did see the trailer but I attempted to avoid reviews. However, I accidentally glimpsed a synopsis in the Washington Post and saw Ann Hornaday gave it 2 stars, so that made me more pessimistic - though not as pessimistic as I might've been had someone else reviewed the film, as I often disagree with Hornaday’s views. Based on my viewing of the film, I had a lesson reinforced. Trust Fincher, pay less attention to Ann Hornaday. Girl reminds me of Fincher’s Social Network in that the film probably shouldn't work but it does, though for opposite reasons. Network should've been dull as paint drying - seriously, who ever thought a movie about the creation of Facebook would be so fascinating? 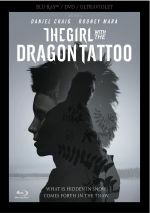 On the other hand, Girl gives us all sorts of drama, tension and intrigue, but it probably should flop because it hits on such well-worn territory. In the wrong hands, it would become predictable/trite at best, and it would devolve into sappy Lifetime Channel material at worst. That's why Fincher continues to prove he's about the best there is out there these days. He takes potentially stale material and makes it soar. Girl never feels like it runs two and a half hours long - and it could've gone another hour and I'd have been fine with it. The movie keeps us engrossed with all its twists and turns, and these make it consistently entertaining. As for the actors, they handle their parts well. Affleck has never been great at emotional connections, but that actually helps him here. The actor’s limited range allows Nick to seem suitably suspicious, as Affleck’s less than convincing sense of humanity fits the role. I’m not wild about Pike’s less than convincing American accent, but she does fine otherwise – and maybe the studied tone to her speech fits the role, as Amy gets an artificial feel that suits her. Whatever the case, Pike lends a “perfect girl” impression that Amy needs and also allows her to adapt to the story’s shifts. Among the supporting actors, Kim Dickens stands out. She plays the local investigator who covers the case, and she neatly avoids potential pitfalls. Detective Boney could easily be a predictable “small-town cop with unusual insight” but Dickens adds zest to the part. Though Dickens fares best, all the secondary actors succeed. Heck, even Tyler Perry – freed from his “Madea” persona – does nicely here. I won’t call Girl Fincher’s best ever, as I doubt anything will ever top the sublime Se7en. Nonetheless, it creates an involving, taut mystery that thoroughly delights. Gone Girl appears in an aspect ratio of approximately 2.40:1 on this Blu-ray Disc. The movie boasted a strong transfer. No real issues related to sharpness, as the movie looked concise and accurate. A smidgen of softness crept into a few interiors, but overall, the film was accurate and well-defined. Jagged edges and shimmering failed to appear, and edge haloes remained absent. Source flaws caused no distractions. Colors were fine within decidedly stylized realms. The film opted for a dull teal most of the time, with some subdued orange as well. This meant we didn’t see much visual variety, but the hues looked fine given the constraints. Blacks were dark and tight, while shadows demonstrated good clarity. I expected a positive transfer and that’s what I got. As for the film’s DTS-HD MA 7.1 soundtrack, music became the most dominent feature. The score filled out the room in a manner that used the whole spectrum well. Given the chattiness of the movie, effects played a somewhat minor role. The mix opted for general atmospherics much of the time, with the occasional livelier scene along for the ride. Those moments remained fairly rare, though, so music and basic ambience became the most prominent aspects of the soundscape. Only one disc-based extra appears here: an audio commentary with director David Fincher. He presents a running, screen-specific discussion of story/characters and collaborating with author Gillian Flynn, cast and performances, music, editing, sets and locations, and related production areas. A veteran of the format, Fincher always creates good commentaries, and this one lives up to that history. Frank and informative, he gives us a solid look at various aspects of the production and gets into details others might skip. I could live without his tendency to tell us what he loves about the movie, but this remains a pretty terrific chat nonetheless. One unusual note comes when Fincher discusses Affleck’s refusal to wear a Yankees hat. Fincher claims this dispute shut down the shoot for four days, and he calls the actor “entirely unprofessional”. I know Affleck wouldn’t wear a Yankees cap but it’s less clear if the situation was as fraught as Fincher makes it sound. The director boasts a dry sense of humor, so I can’t tell if he really views Affleck as unprofessional or if he’s having a laugh. The package also includes an Amazing Amy Book. This gives us a sample of the fictitious children’s book series that becomes a factor in the movie. It becomes a cool addition. With Gone Girl, David Fincher does what he does best. He creates a tight, cynical thriller that moves at a good pace and forms an involving universe. The Blu-ray offers positive picture and audio along with an informative commentary. This isn’t peak Fincher but it’s still a fine piece of work.